Mermaids, zombies, and Blackbeard. It’s all part of the final installment of Pirates of the Caribbean. Johnny Depp returns as Captain Jack Sparrow once more for Pirates of the Caribbean: On Stranger Tides. It’s an action-packed tale of truth, betrayal, youth and demise. When Jack crosses paths with a woman from his past (Penelope Cruz), he’s not sure if it’s love—or if she’s a ruthless con artist who’s using him to find the fabled Fountain of Youth. When she forces him aboard the Queen Anne’s Revenge, the ship of the formidable pirate Blackbeard (Ian McShane), Jack finds himself on an unexpected adventure in which he doesn’t know who to fear more: Blackbeard or the woman from his past. I love Johnny Depp more than life itself and well, these movies are phenomenal. Can’t wait for this one… yet, I am sad that it’s the last. 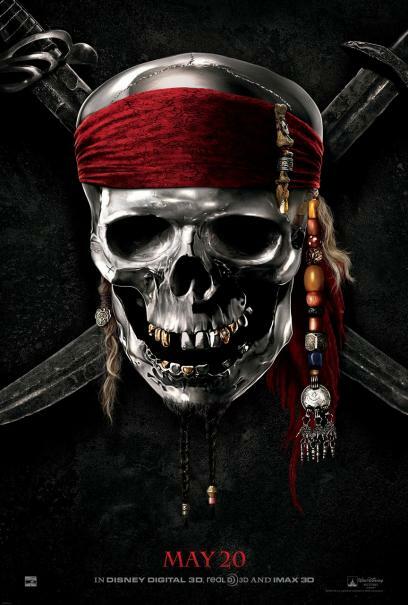 Pirates of the Caribbean: On Stranger Tides arrives in theaters May 20, 2011 in 3D/2D, and IMAX 3D.